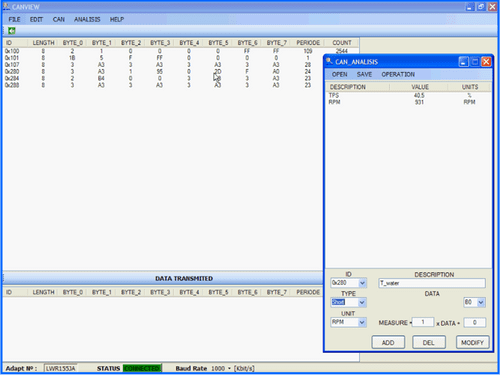 The software CAN VIEW is an easy to use tool that allows the analysis of a CAN line in a short time. 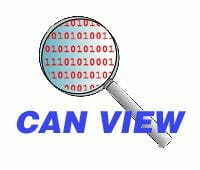 It allows you to: see all the connected data frames transmitted through the CAN line, interpret the data transmitted, convert the data frames, and store the created conversions from the CAN analysis. It also incorporates a function which allows the transmission of data frames. This kit lets you connect your PC to the CAN of any car. It works either with a CAN line Base 11-bits or 29-bit Extended. It allows you to convert hexadecimal values to other comprehensible values. It allows you to send CAN data frames.